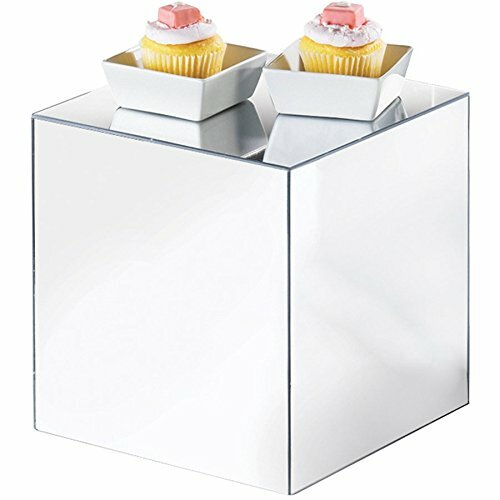 Cal-Mil MC712 12'' Acrylic Mirror Cube Riser by Cal Mil at The Malaysian Mirror. MPN: Ind-EQ-2114321224. Hurry! Limited time offer. Offer valid only while supplies last. Restaurant, or catered event to create exciting depth and dimensions! If you have any questions about this product by Cal Mil, contact us by completing and submitting the form below. If you are looking for a specif part number, please include it with your message. Buffet Enhancements 1BGM32ROUND Round Food Display Mirror, 32"